What’s your favorite condiment? Seriously think about this. If you’re stranded on an island, destined to eat sand and leaves the rest of your life but in true Hunger Games style, you have a sponsor that can donate ONE condiment, what would you request? Mine would be mayo. No question. My husband’s would be A1 steak sauce. So this A1 inspired slow cooker beef roast is obviously right up his ally. Let me tell you about this guy. We will go months without going on a date and FINALLY snag a babysitter (actually monitor-sitter because in reality, our kid is already asleep. Easiest 50 bucks a high school sitter has ever made…) and splurge at the best steakhouse in town. Once that beautiful hunk of meat is served, he’ll ask for a bottle of A1. The look of sheer and utter offense on our waiter’s face is priceless. But that’s my man, he needs his A1. Because I love him (sometimes most of the time), I decided to create an A1 inspired beef dish just for him. And just for me, I decided the recipe must be super easy, and done in my trusty slow cooker. Despite having a disgusting large stash A1 bottles in our pantry (heaven forbid we are ever out), I wanted to create a family-winning dinner without all the preservatives. Real food meals. Totally my jam. Mmmm jam, another condiment that rocks my world…. Not only is this protein-packed meal insanely flavorful, it’s paleo, whole30, low-carb, and highly approved (by the A1 guy of course). 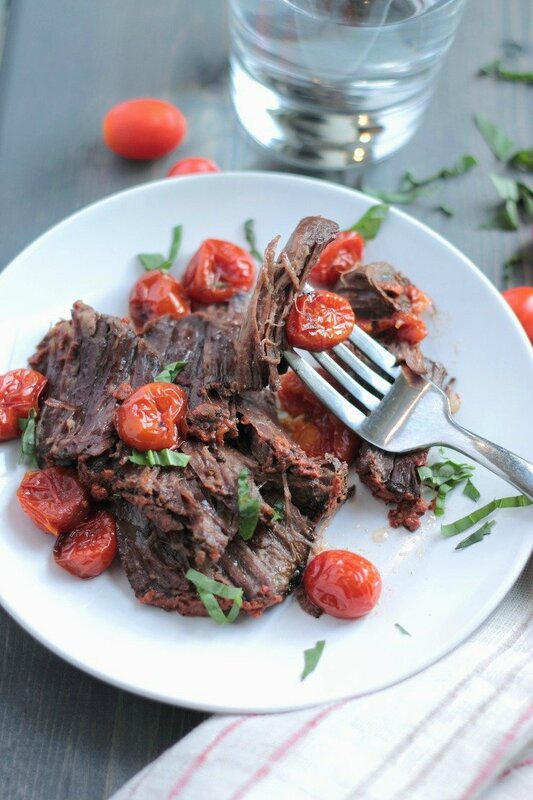 A1 inspired slow cooker beef roast with blistered tomatoes MUST be on next week’s menu. Trust me on this one. Don’t skip the tomatoes either, even the meat-loving, veggie-hating man in your life will appreciate the flavor flair the tomatoes add to this dish. Replicating A1 sauce is easier than you’d think. Maybe even easier than monitor-sitting! 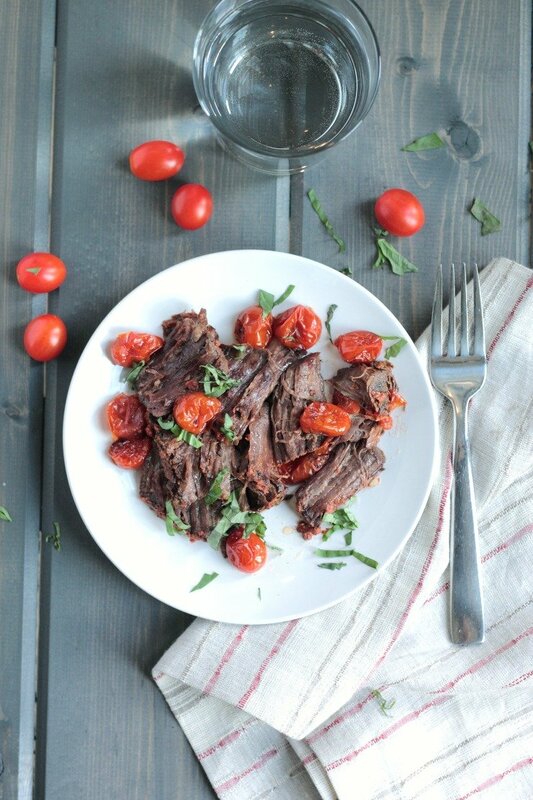 All you need are a few kitchen stables – an orange, red wine vinegar, dijon mustard, tomato paste, and coconut aminos (or soy sauce if you aren’t concerned about this being a paleo dish). Simply combine the liquid ingredients and pour all over the beef chuck roast. Then combine the tomato paste and dijon together and smother it over the top of the roast. Add those pretty ‘lil tomatoes and cook on low for 4-6 hours. Told you it was easy!!! 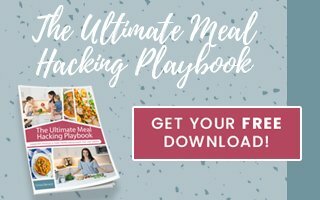 Serve the meat by itself or with a big side of mashed potatoes for a totally filling, out-of-this-world, amazing meal the man and littles in your life will love! Combine the liquid ingredients and pour all over the beef chuck roast. Then combine the tomato paste and dijon together and smother it over the top of the roast. Add the tomatoes to the sides of the roast. Ah ketchup, a noble choice. My close second…. I love the story behind this recipe haha! My favorite condiment is definitely either teriyaki sauce or ketchup. YUM! Anything but mustard, though ;). This looks so delicious! Perfect for a rainy day when all you want to do is cuddle up on the couch with a plate of hearty comfort food! Oooh girl teriyaki! I forgot about that one! Who can resist that sweet decadence? Yes, this is a total comfort food dish. And I love me some comfort food! I never seem to make anything right in the crock-pot but you make me want to try again with this recipe. Thanks! Trust me, this one is fool-proof Tamieka. You SO got this!!! Enjoy! I love that you’re going to make this for Super Bowl! Yummy, that seriously looks so good. Seriously IS so good. My hubby actually said “babe, restaurant-quality” So I’d say he liked it! Love the convenience of the slow cooker. Great recipe! ME TOO. It’s pretty much one of the greatest invention of all time. I agree. My mom always does it in the stove, but slow cooker is the way to go! Mom knows best USUALLY, but not in this case! Thanks Blair! Your recipes looks delicious!! It’s dinner time and I’m dying looking at your photo!! This sounds so fabulous! That roast looks tender, juicy and amazing. Coconut aminos make everything delicious. I’m obsessed with coconut aminos. Come to think of it, that might be a close rival to mayo as my favorite condiment ever! I love slow cooker recipes n this look delicious! I ove a tender chuck roast! I can’t wait to try this recipe. Thanks so much for sharing. There’s really nothing better (well, except chocolate, but you know what I mean). Thanks Allison! 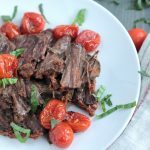 I love slow cooker recipes specially easy no fuss ones! Can’t wait to try this over the weekend. No fuss is totally how I live my life lately! Too many other things to deal with. Hope you love it January! That’s such a compliment, because mom’s recipes are always amaze-balls!! I hope you love it Susannah. I’m sure you little guy will too. Mine ate it UP! Wintertime is the best for using the slow cooker, right?! YUM. This dish looks so comforting. THE BEST. Although I used mine in the summer too (but that’s just because I’m lazzzzzy). Thanks Jess! This looks fantastic, I can’t wait to try it! Thanks Harper! So easy and really tasty. Enjoy! Do you happen to know how you would cook this in an Instant Pot? Thanks! Hmmm I’m sorry, I don’t! I can only imagine it would work great though! Would adding baby carrots to this change the flavor profile? I wouldn’t think so! Might even make those carrots taste even better! This was absolutely delicious! My family loved it, I will definitely make again and again! I’m so delighted to hear that! Thanks Tammy! This was delicious! My husband had two big servings. I accidentally added the mustard and tomato paste to the liquid ingredients, but it was still so good. When I realized, I also added it to the top of the roast. Eeks! Definitely a repeater! I did add carrots to the slow cooker, too and sauteed some mushrooms to go on the side. Hubby and kids had it with mashed potatoes, and I had a sweet potato. Yum! I’m so glad it was a hit Abby! If I don’t have an orange can I do pure orange juice? If so, how much do you think?! Sure! I would guess 1/2 cup! 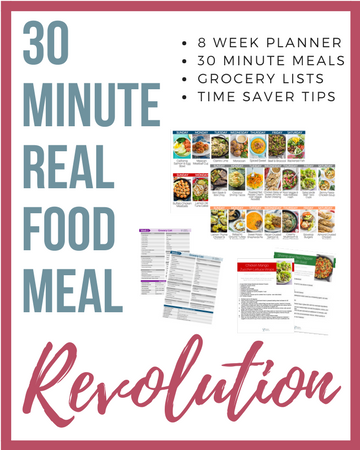 Have you tried a version of this in the Instantpot?? I’m *this close* to doing away with my slow cooker because I only use the Instantpot, but this sounds yum!! I haven’t yet but I’m almost certain it would work on the meat/stew setting! This is on the menu for this week! What do you tend to serve this with? We sometimes do mashed white or sweet potatoes. Or I even love this with roasted brussels sprouts! Can I do a rump roast instead of chuck roast? Or will it not come out the same? I worry it might be tough! I’d stick to chuck for this one! So bummed!!! This came out totally inedible- the beef was so tough like hard to cut with a steak knife!! I don’t know what went wrong it smelled so good cooking but just didn’t work out! Hello – I’m so sorry to hear that! Are you certain you used the right cut of meat? Sometimes the wrong cut will yield a tough result. I double and triple checked – then went to the store today and got another one and am trying it again tonight- so far its been cooking for 5 hours and its still really tough 🙁 Im so bummed!!! again it smells delicious… I’m turning the heat up to High and hoping that helps for the last hour… booooooo I’m so sad I’m having such trouble- i swear I’m not a terrible cook and never have issues with a roast in the crock pot. I’m so sorry! I haven’t heard of it being so tough! How do you normally make roasts in the crockpot? Was so looking forward to finally trying this but was expecting the meat to kinda fall apart like your picture but it’s super super tough and chewy. It therefore doesn’t taste much like the sauce either. I used a 2.5lb chuck roast and cooked for 5hrs. Bummer! Darn! I have no idea why it was so tough for you. 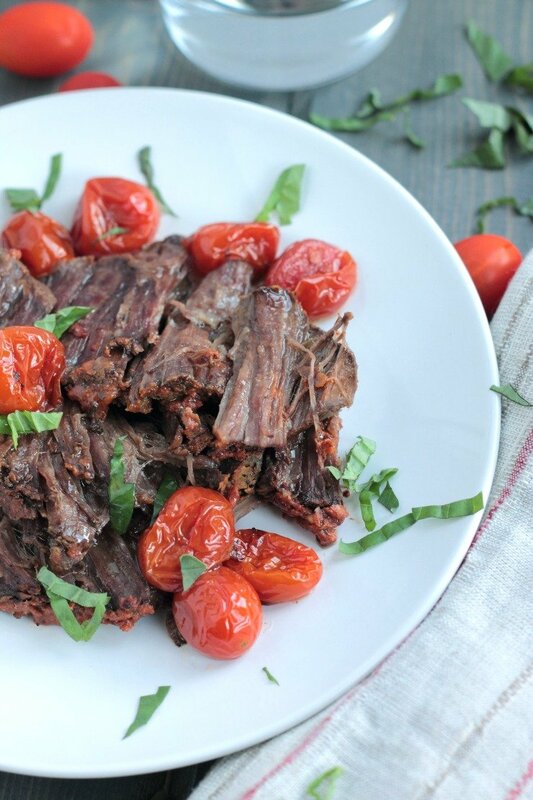 Have you cooked chuck roasts in the crockpot in the past? You might need a bit more time to cook if it was still tough. I’m sorry Emily!